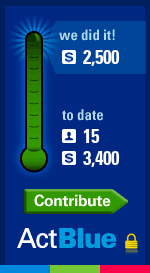 Wolfeboro Area Democrats | The Democrats of Wolfeboro, NH, Welcome You! The Democrats of Wolfeboro, NH, Welcome You! April 15: Paul O’Brien, a Wolfeboro Selectman, has agreed to be the presenter at our April 15 general meeting. He has an impressive grasp of the challenges of producing energy in ways that don’t destroy the climate. His business experience gives him insight into the trade-offs and the resistance that come with changes in how we produce electricity. And he will bring it down to the very local level with suggestions for how we can make a contribution. County Democrats Caucus: May 5, 1pm at Runnells Hall in Chocorua. More details here. Education Funding Forum: Wednesday, May 8, 7pm at the Wolfeboro Town Hall. May 20th monthly meeting: guest speakers TBA. Both the NH House and NH Senate have passed a Paid Family Leave project in Senate Bill #1 (SB1). Now it goes to the Governor, who has indicated he is not inclined to sign it. Here’s what you can do: Read the attached info sheet and send a postcard to Governor Sununu, 107 North Main St., Concord, NH 03301. Urge him to sign the bill! 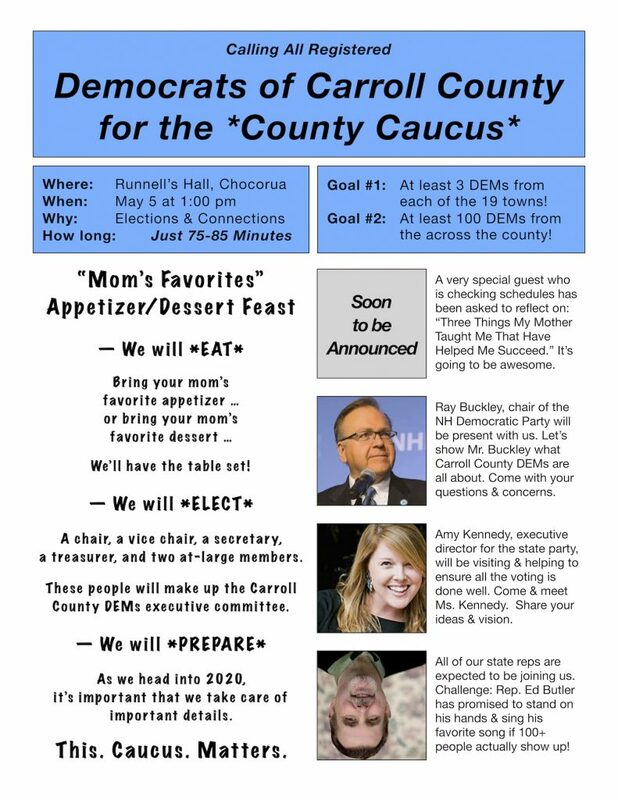 It's going to be a great day for the Carroll County DEMs on May 5th when we gather to elect leaders for the next term, enjoy some delicious treats, and listen to state party guests share ideas and answer our questions. All registered DEMs who live in Carroll County are welcome and encouraged to attend. Urged, even! We will be having an appetizer/dessert feast of "Mom's Favorites". Everyone is being asked (that means YOU) to arrive with their mom's favorite appetizer or dessert. Carroll County DEMs leaders will have the tables all set and ready to go. We will hear an extra special guest speaker (who is checking schedules at the moment) share about "Three Things My Mom Taught Me That Have Helped Me Succeed." 2020 is just around the corner. Success then begins with our commitment NOW. Your presence at the caucus is an easy way to be part of the committed group as we head into 2020. This event matters in so many ways. The Carroll County DEMs really needs every person who believes themselves to be part of the solution to all the problems we face to make this 75 minute period of time a priority. Runnell's Hall -- May 5th -- 1 PM. Representative Ed Butler has promised that he will stand on his hands and sing a song if we're somehow able to pull off meeting the goal of having 100 people present at the caucus. Come on ... this will be something to see! Join state reps Edie DesMarais and John Macdonald, along with Andru Volinsky and John Tobin, for an informative discussion on this very important issue.